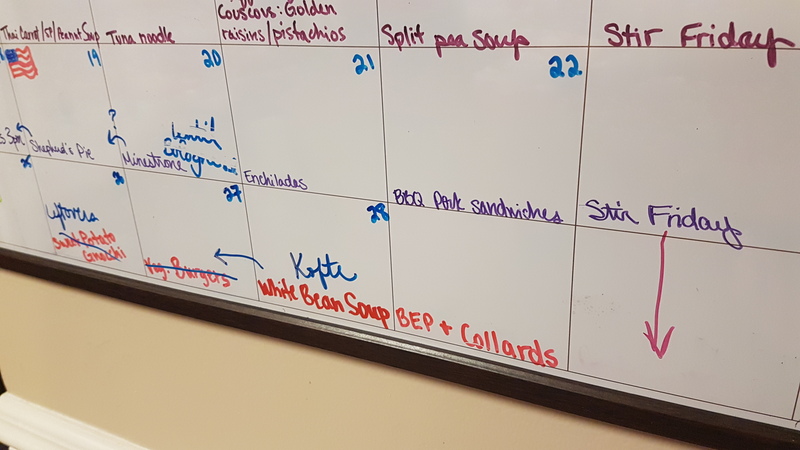 This was the best week for meal planning yet! 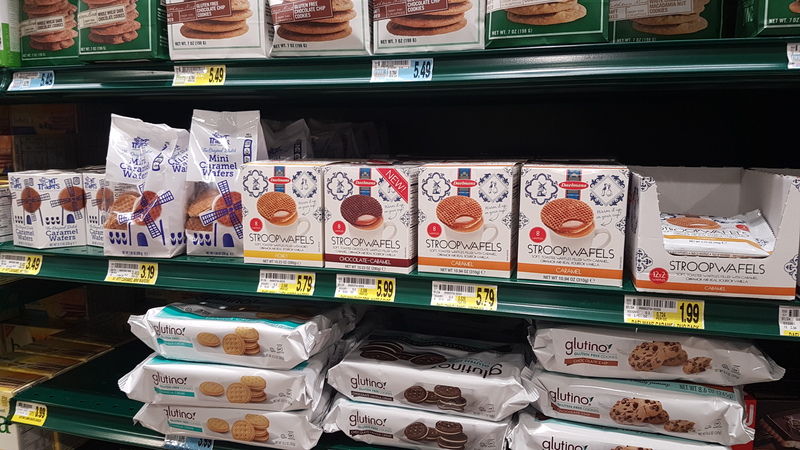 I put together a complete plan, compared the ads for all three of my favorite grocery stores (Kroger, Harris Teeter, and ALDI, in case you wondered) and discovered that neither of my two closest had good enough sales or coupons this week to justify them. 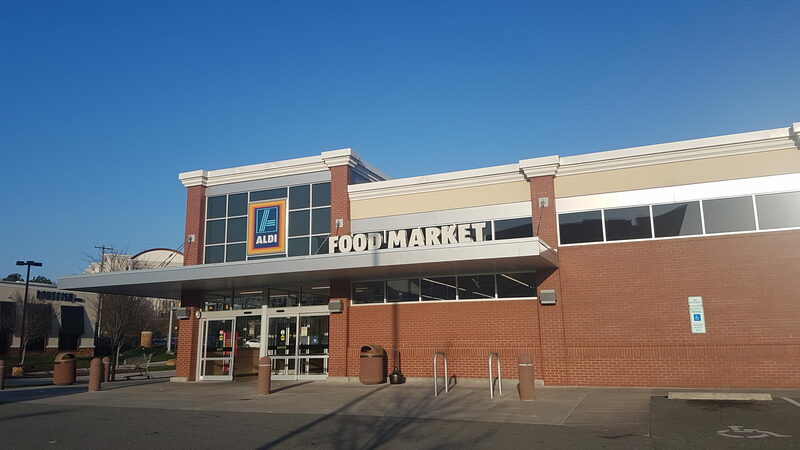 So ALDI it was, even though it is (sadly) the most out of my way. It is 90% of the time the cheapest overall option, though, so I wasn’t too torn up about it. I mentioned it was recently remodeled right? Good lord do I wish I lived closer, I would be here almost daily. Okay, maybe I don’t wish I lived closer… But, it is gorgeous inside, and I found all the things I needed and then some. They had hemp hearts! And some cool rice and quinoa blends. And lentils and split peas on sale. 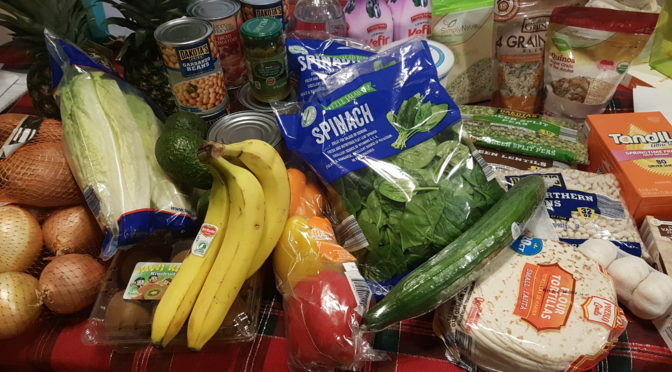 I am 99% sure you could live off this week’s groceries for at least a few weeks. Oh and remember how much we liked the Raleigh Beer Garden last week, even though it was rainy & gloomy? We went back again and it was sunny and 70s and perfect! Yeah we spent 2 weekends in a row here, what of it? Tell me you aren’t jealous. 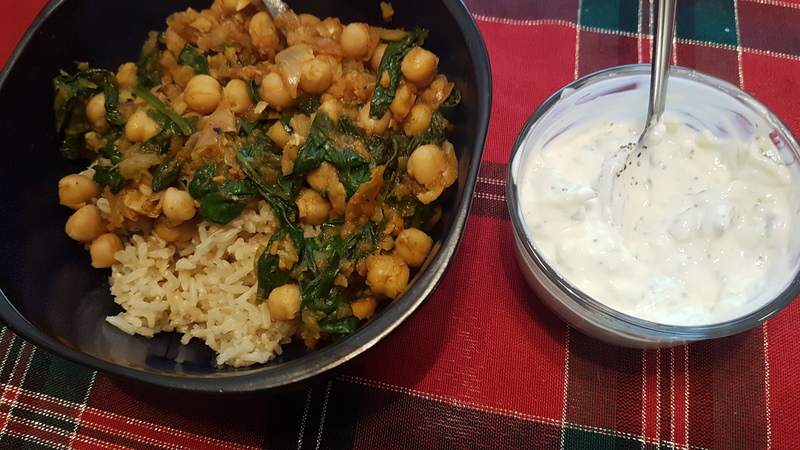 I also finally made chana saag (spinach & chickpeas), which I had been jonesing for ever since my trip to Sitar. It wasn’t quite on par with theirs, but I’ll work on it. 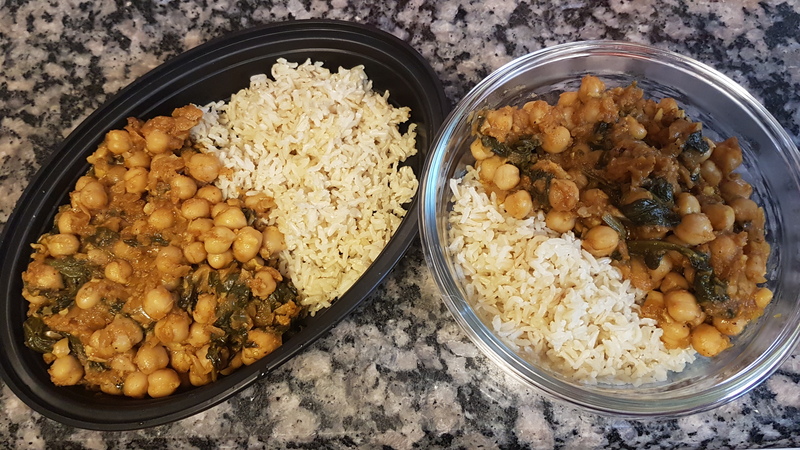 I just love the flavor combo here, it’s like the Indian version of red beans & rice. 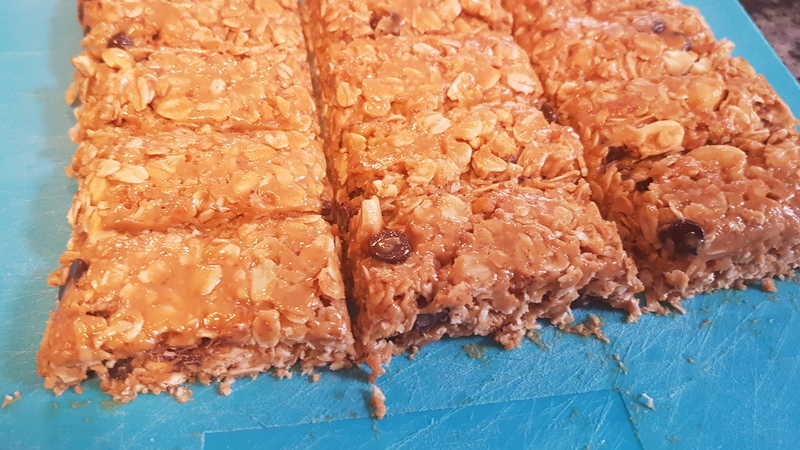 Oh, and I made a new batch of my favorite granola bars! Sure they have processed pretzels in them, but when they satisfy the same craving as a Snickers bar with far less fat and ingredients I control, I’m okay with it. Balance, people. 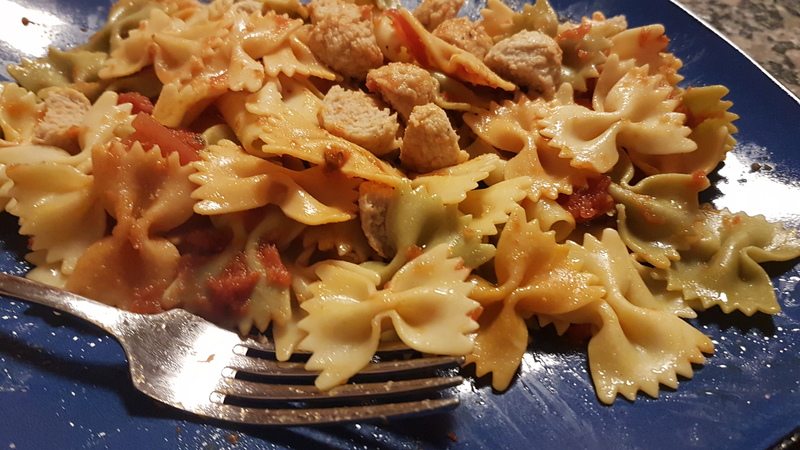 This batch came out quite oily, which is disappointing. But it won’t stop me from nomming them all. Oh, AND, one more thing, it’s the last weekend update I swear. 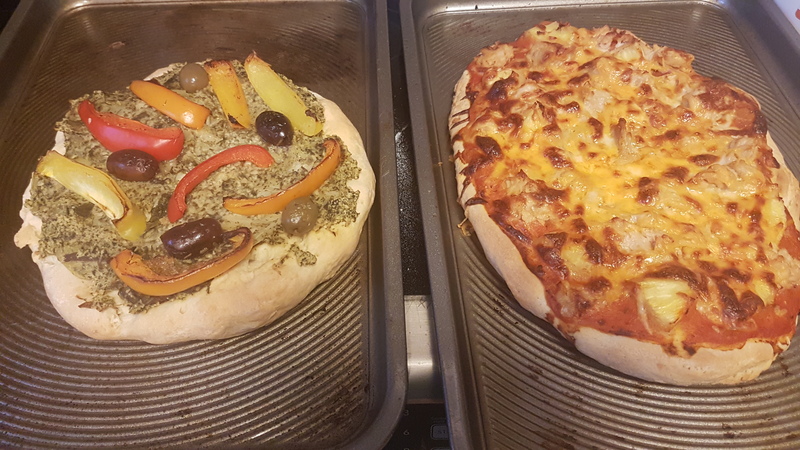 I made pizza dough, which was fine. 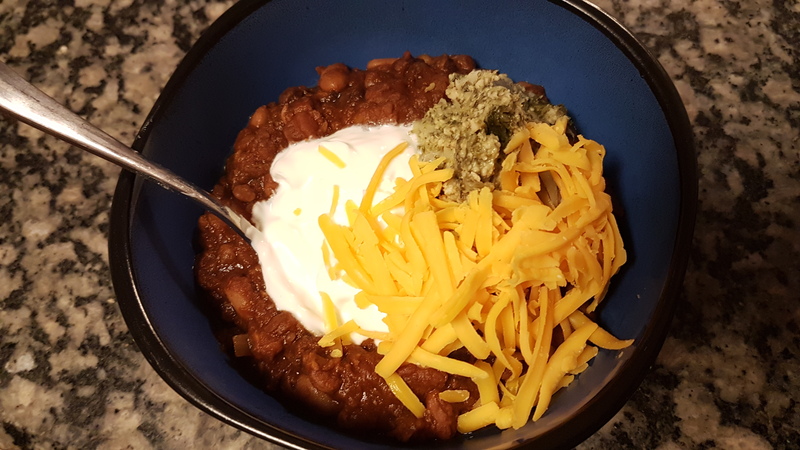 It was the toppings I was particularly proud of. 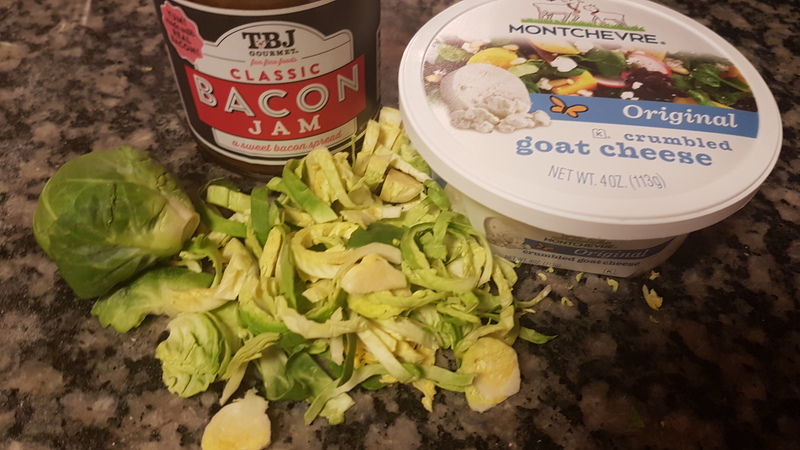 My family visited a few months ago, and one thing they bought was a jar of BACON JAM for the boy. Yup, you read that right. 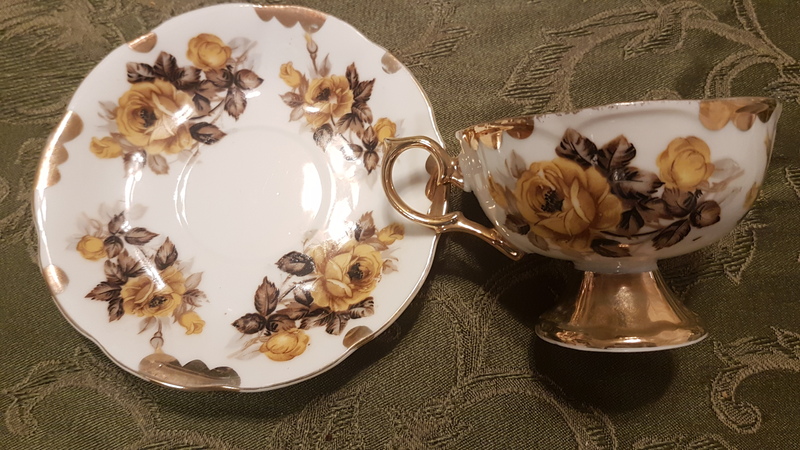 And it’s been sitting in my cupboard, because I’m at a loss as to what to do with it (for some reason I got a weird look when I suggested he eat it with a spoon…) BUT. 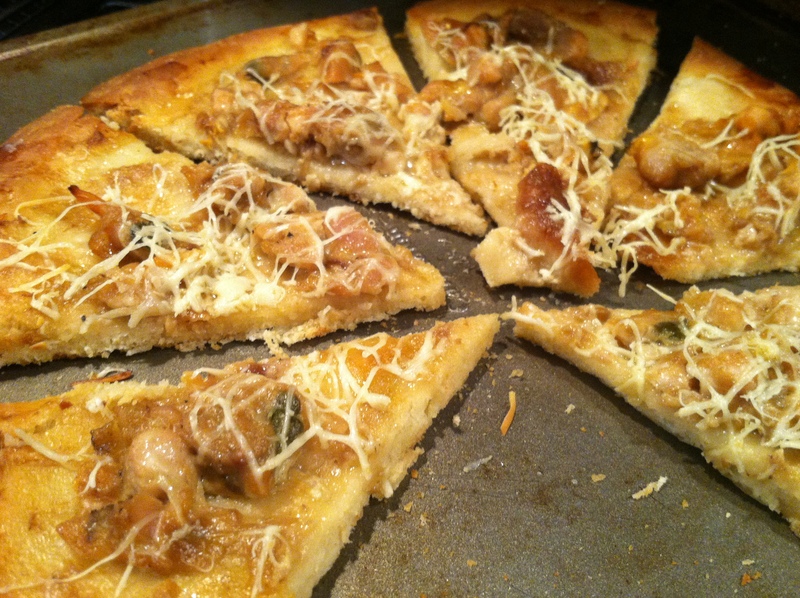 Turns out, it makes a really great pizza topping! With some shredded Brussels sprouts and goat cheese, OHMAHLAWD y’all. To. Die. For. Pizza. 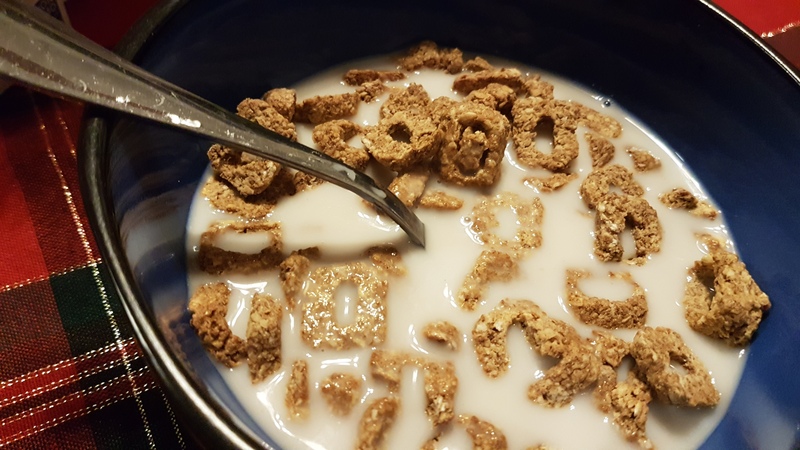 Breakfast – the last of the Cracklin Oat Bran! 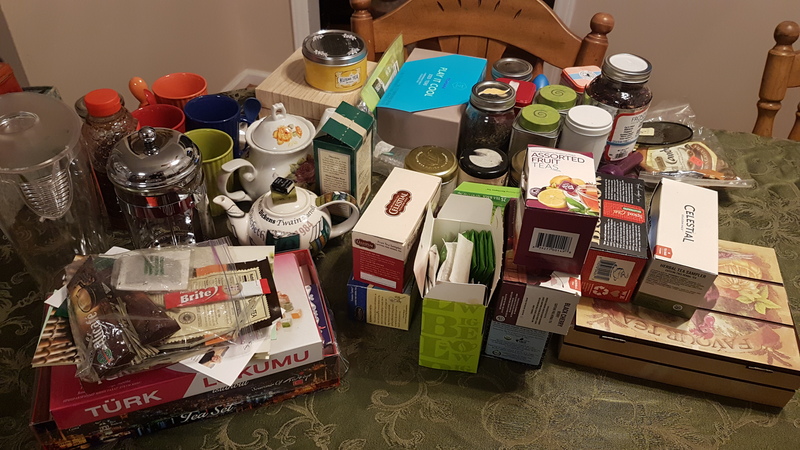 I’m sad to finish this box off, it made fast mornings so easy… but, alas. I cannot allow myself to get into a $5 per box habit. 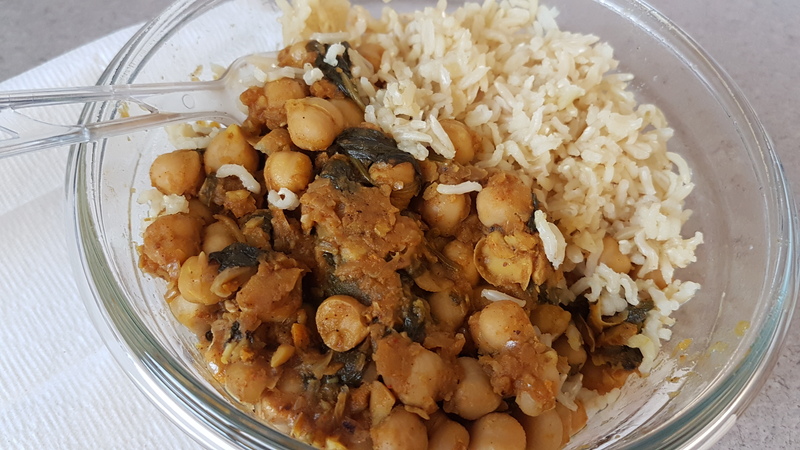 Lunch – Chana Saag and brown rice. Deeeeeeeeeelish. Oh and I saw this ad in the hallway! 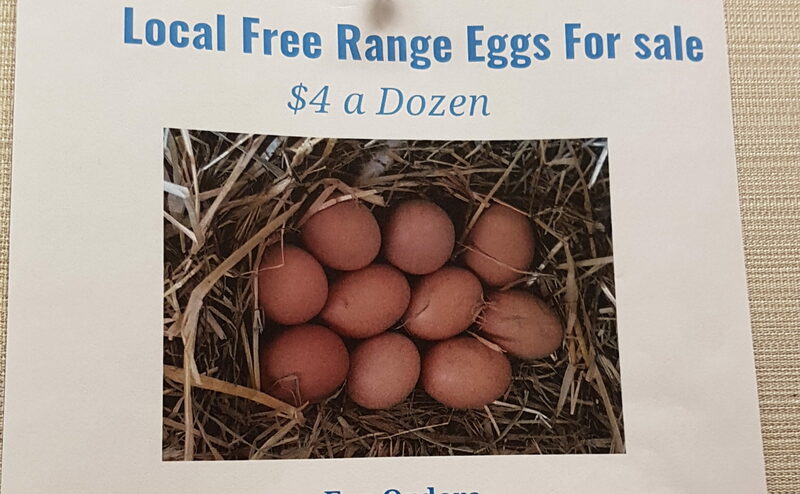 Super exciting, and since we don’t eat many eggs anymore, I only buy about a dozen every other week. I think this is do-able, and will be a great step towards eating as locally as possible. 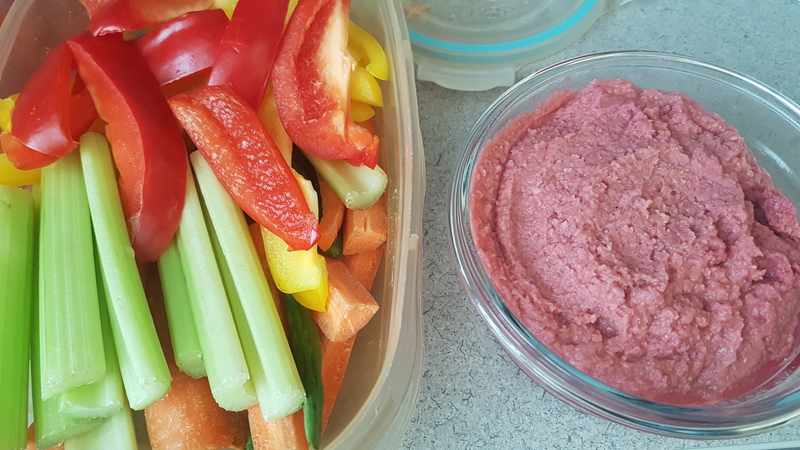 Snack – Hummus & cut veggies. Isn’t it so pretty?! 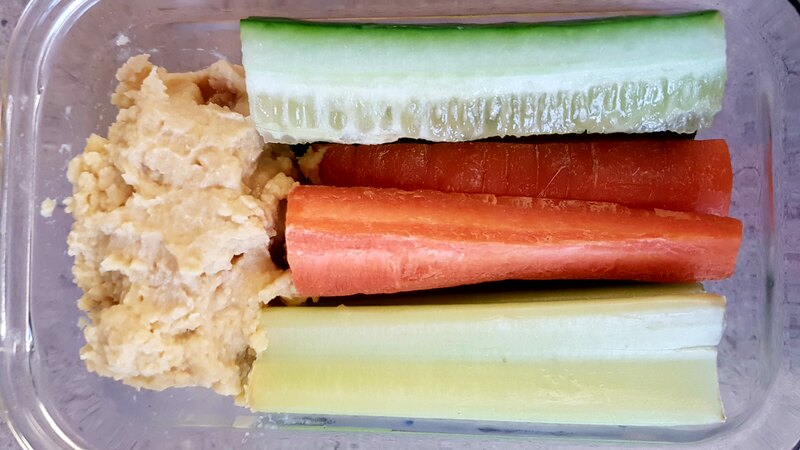 Carrots, celery, and cucumbers. 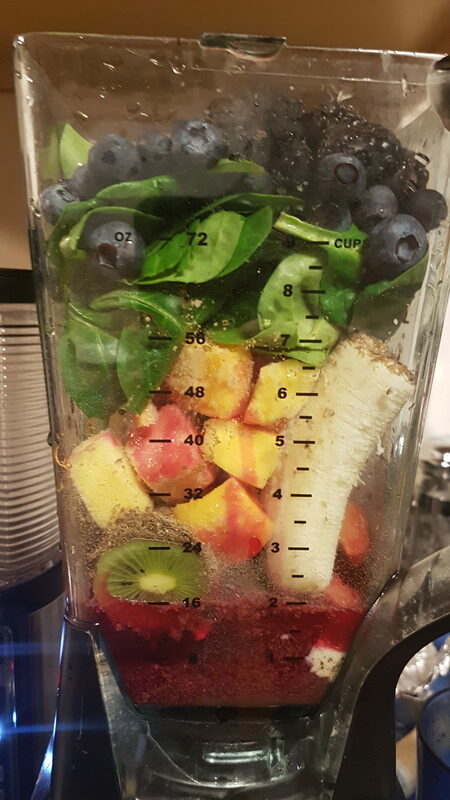 Breakfast – A Rainbow Smoothie! Not a Rainbow Of Smoothies, that’s an ongoing series. 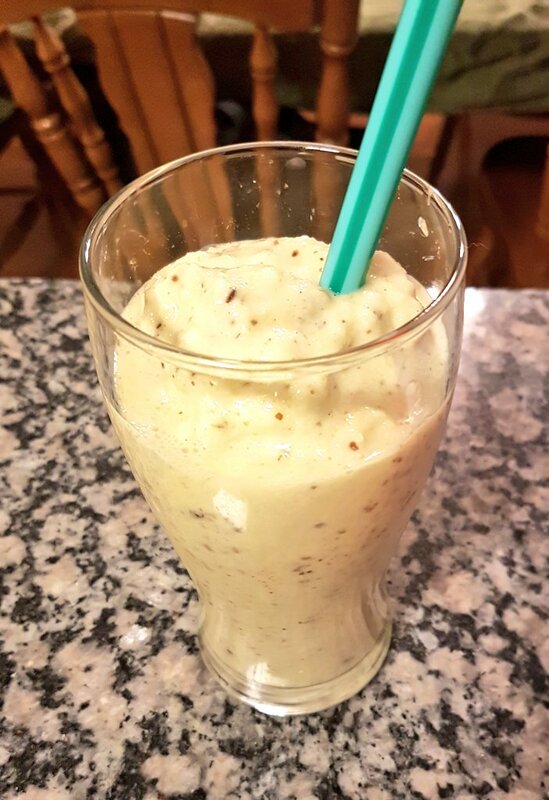 It was one smoothie, with a s*#t-ton of different fruits and veg! This is what happens when you have a LOT of fruit in the house. Snack – Bagel & pear. 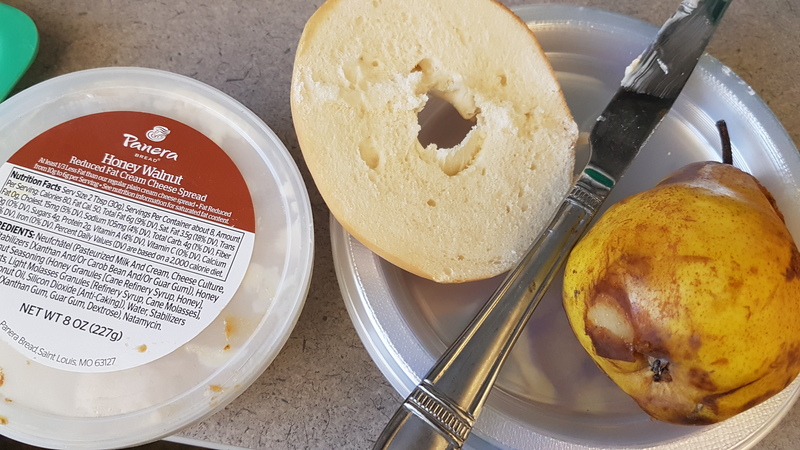 I forgot I even had these bagels, and needed to eat them before they went bad, as well as the pear. 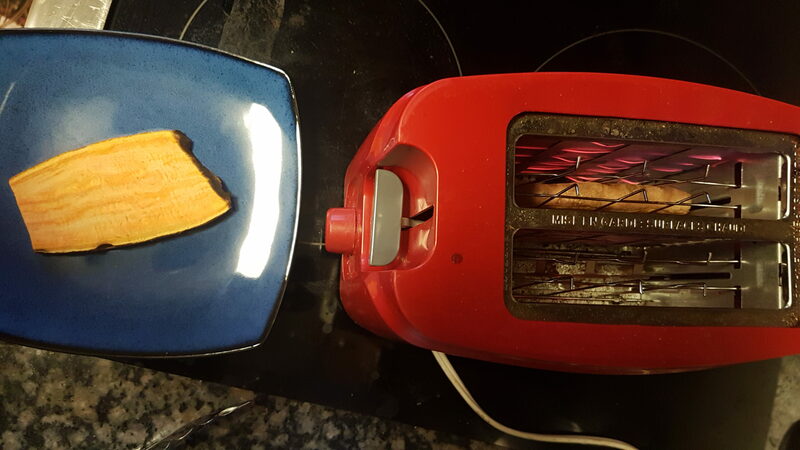 So it made for a great snack time. 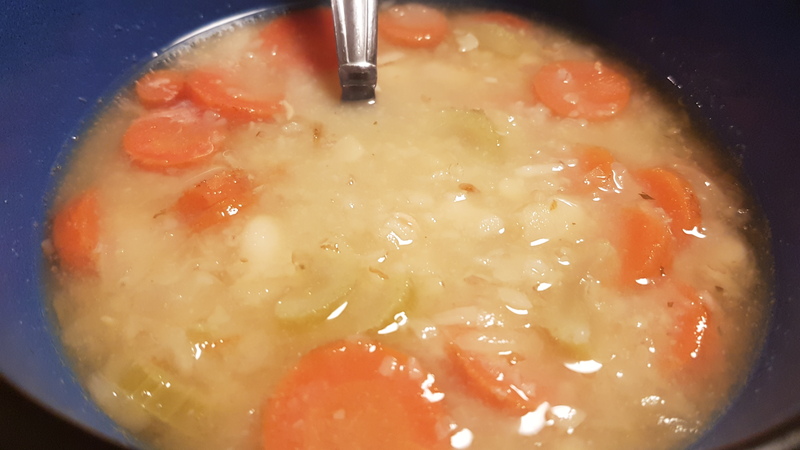 Dinner – White bean soup. 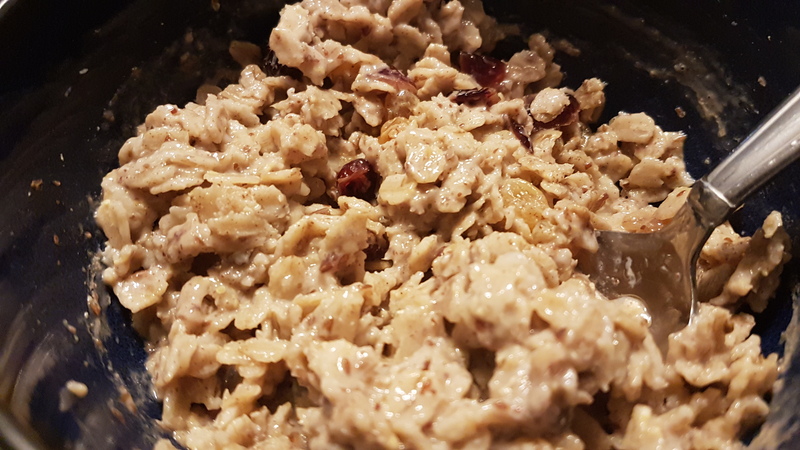 This one was sans ham, but I added some wheat bran to thicken it up more. It’s even better overnight. 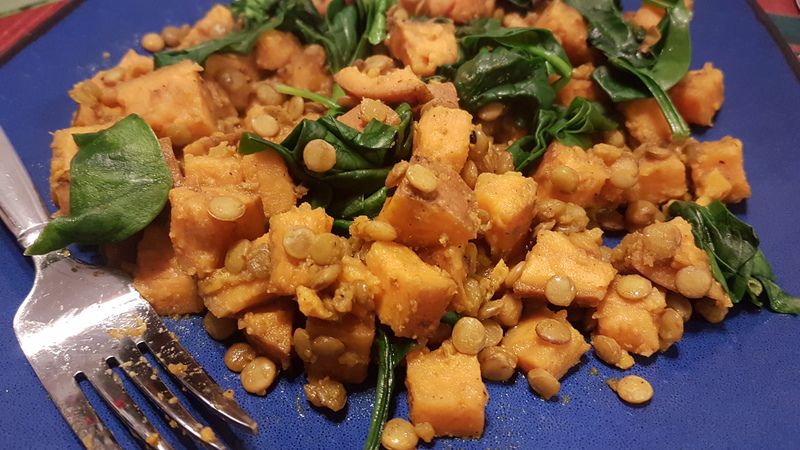 Breakfast – Sweet potato, lentils, & spinach. This is one more step on top of one of my favorite simple hot breakfasts. Just simmer sweet potatoes and lentils together in water for 25-30 minutes while you get dressed and pack lunch. 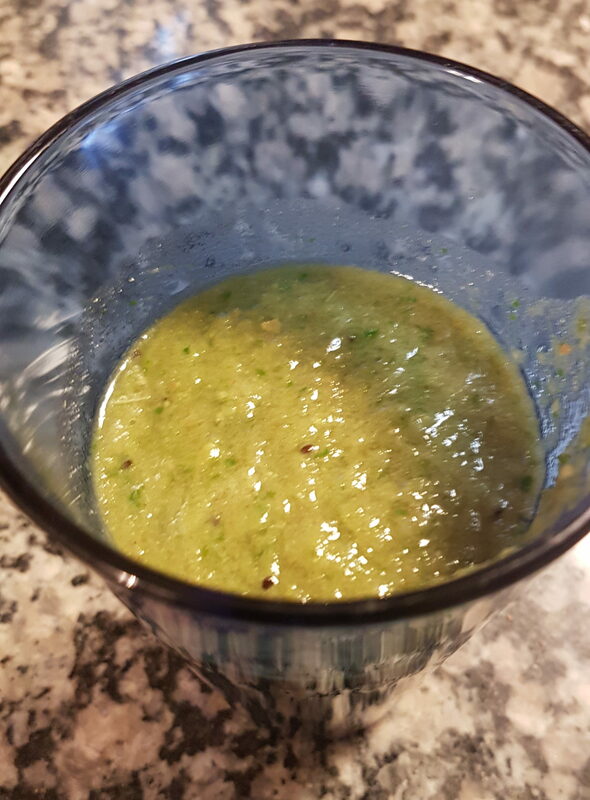 Toss in some spinach at the end and boom breakfast is served. 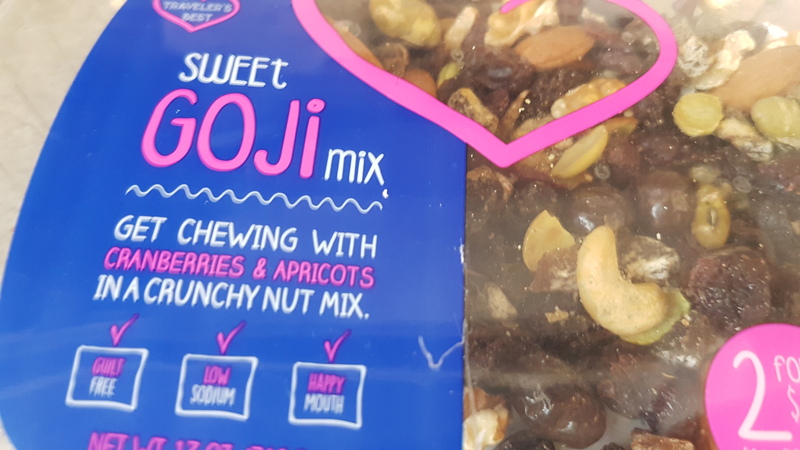 Snack – Fruit & nut goji trail mix. I’m slowly working on the last of this travel mix. I think I got my money’s worth for how long it’s taking me to finish this. 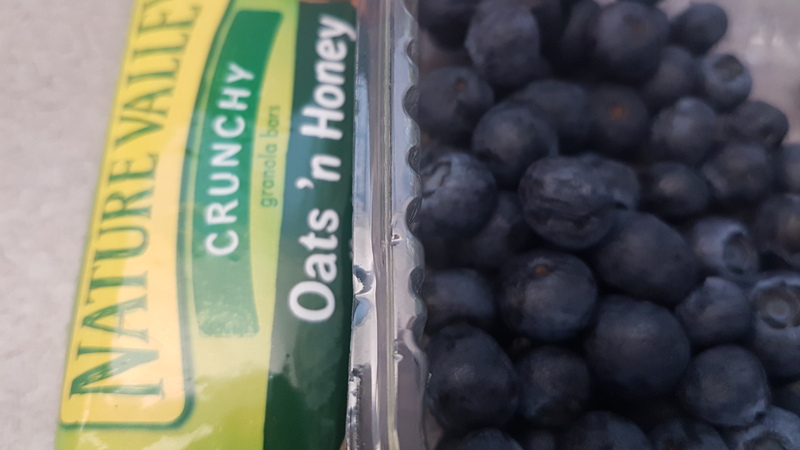 Then I got hungry again near quittin time, good thing I also had a Nature Valley bar and some blueberries. 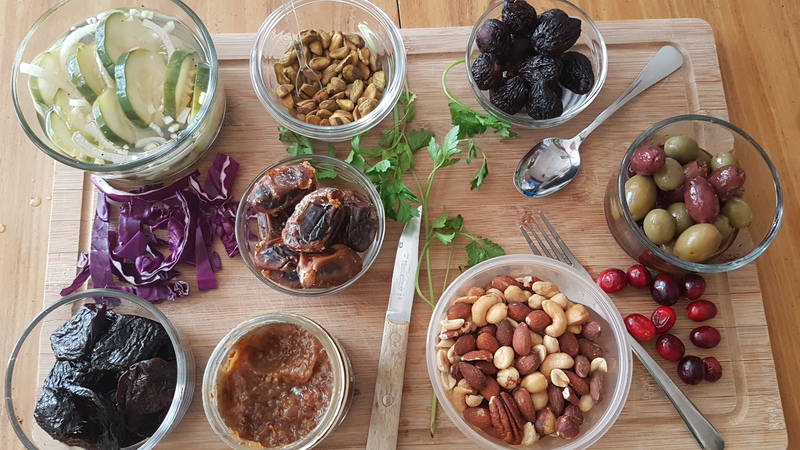 Dinner – I decided to try a new recipe, and used this one for Turkish Koftes. 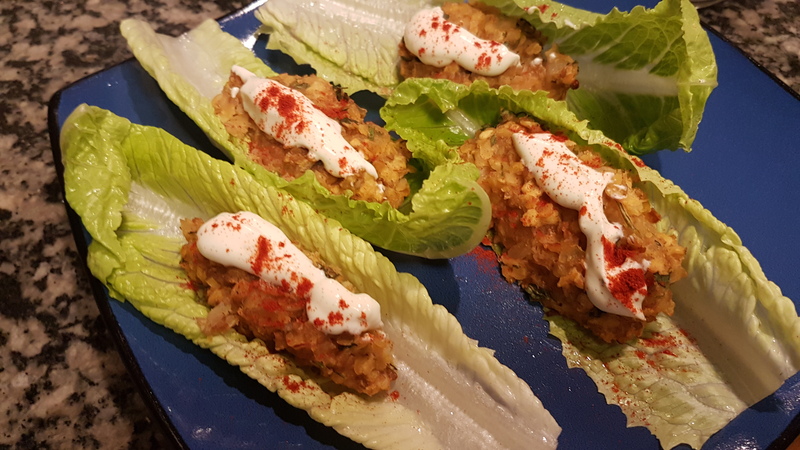 It’s basically wheat and red lentils and onions, formed into patties and wrapped in lettuce leaves. 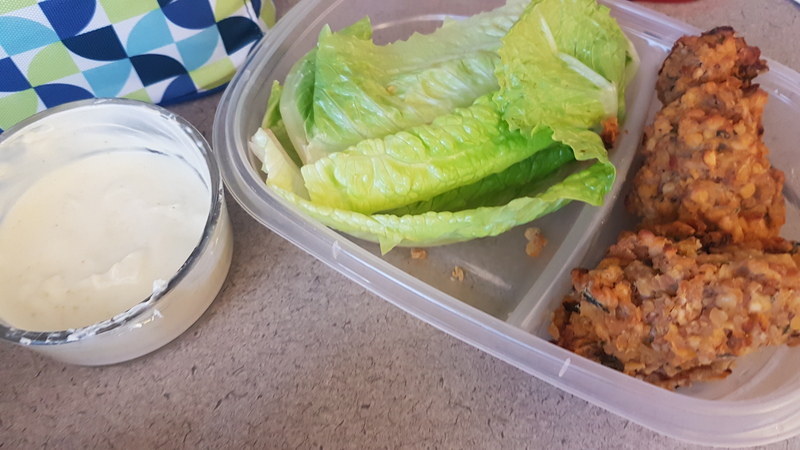 I whipped up a quick lemon tahini yogurt dressing to go with, and I thought they were pretty great. 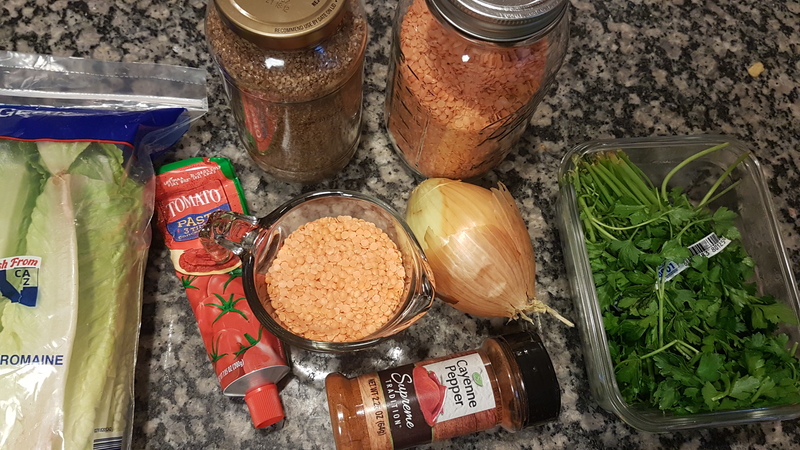 They were a bit too watery (my fault, I just didn’t want the lentils to burn…) so I baked them at 400 for 15 minutes and that helped solidify them. 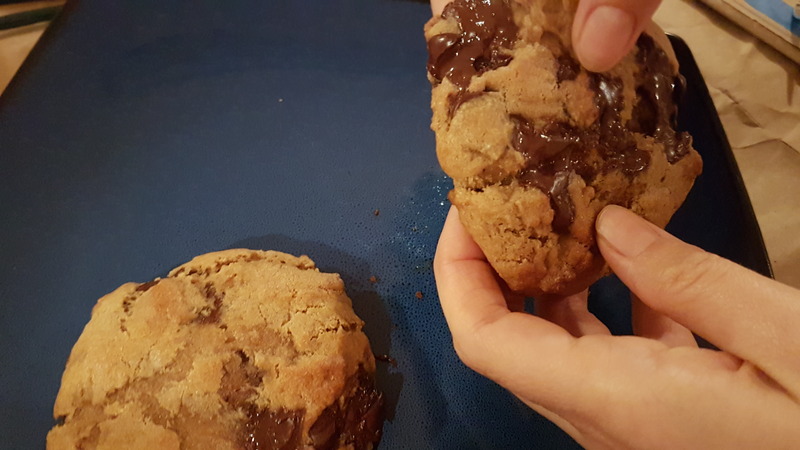 Ohhhhhhh and fresh chocolate chip cookies for dessert! 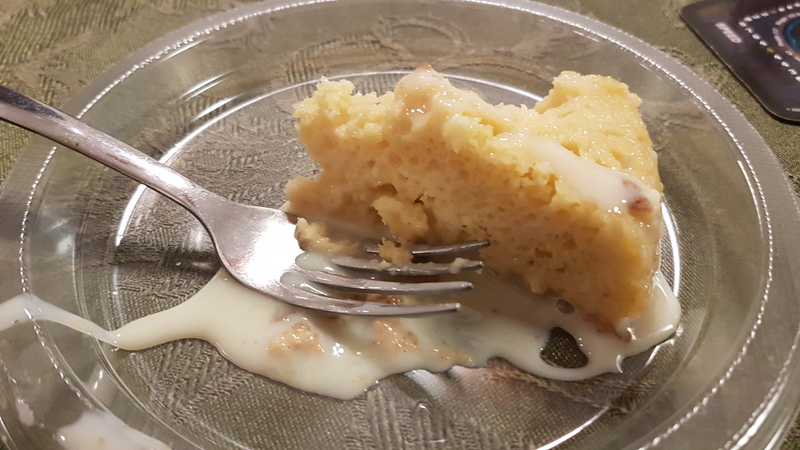 We rarely have dessert here in the BE household, because neither of us is crazy about sweets (I know, I know, what kind of monsters are we… the kind that thrive on salt, apparently). But I’d had these in the freezer for a while, from the Dec Food Swap, and decided it was time. Boy, am I glad I did! Straight from freezer to oven, they came out slightly brown outside but ooey-gooey-chewy on the inside. Be still, my beating heart. I want more. Like now. 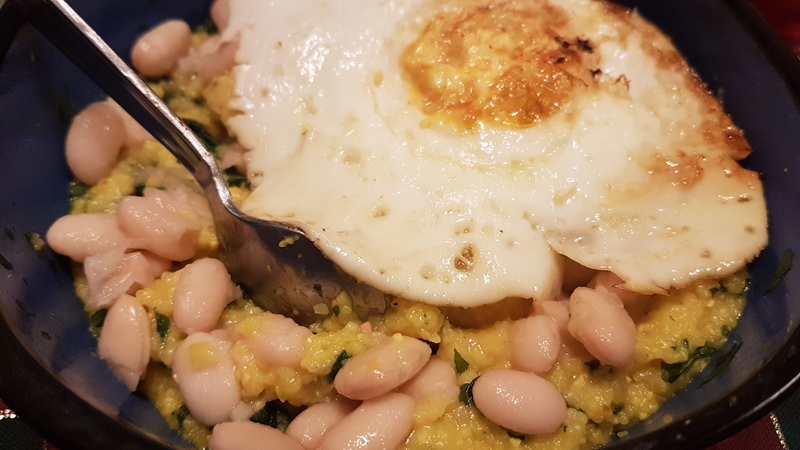 Breakfast – Corn grits with spinach, white beans, and an egg. I don’t know where I come up with these things either. 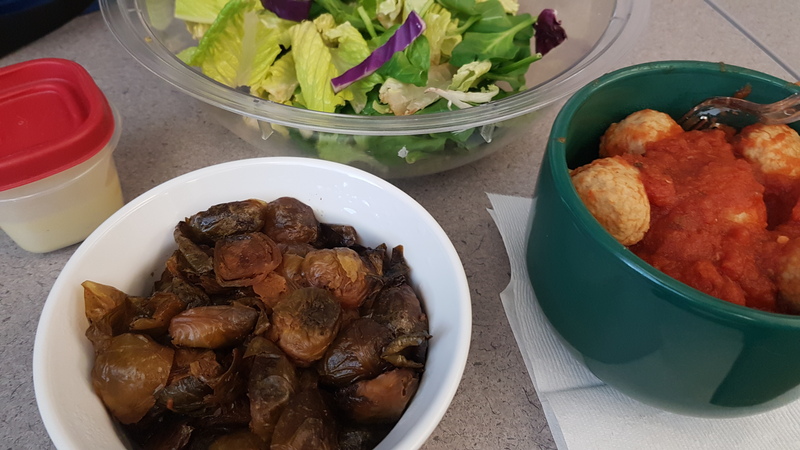 I had some grits left from the weekend, and I think the internet told me that savory grits go with spinach well, so I pulled that from the freezer. I decided it needed more protein, so I threw in a handful of white beans (I had a huge batch I made in the slow cooker over the weekend) and a fried egg on top. 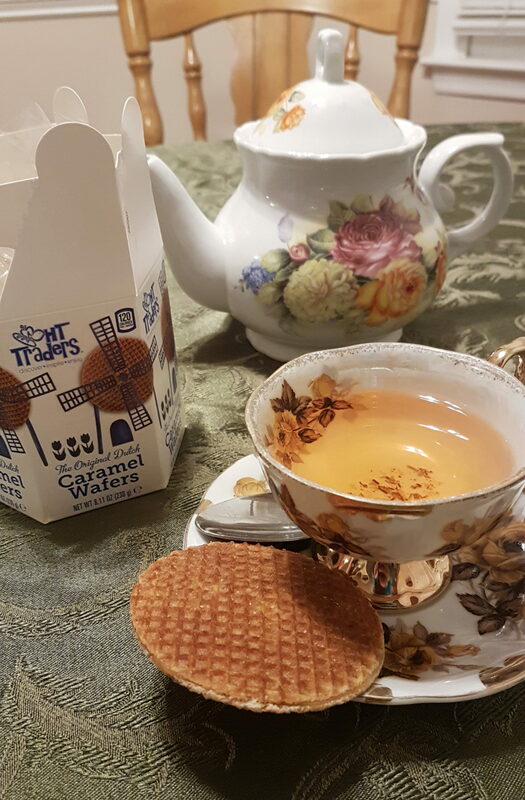 It was surprisingly tasty! 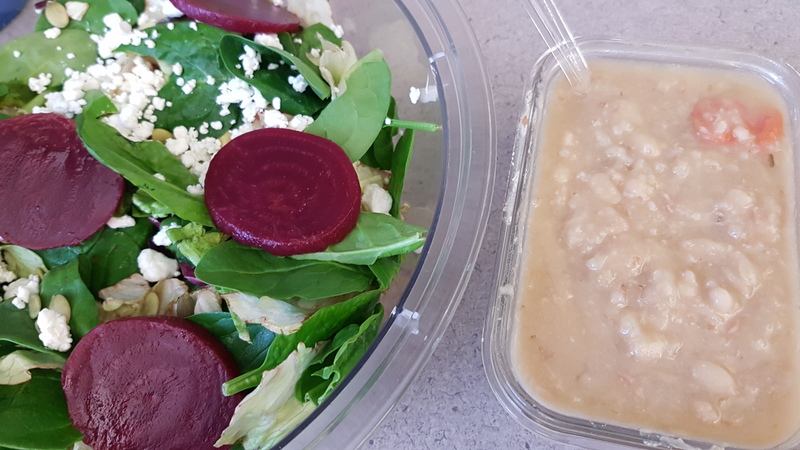 Lunch – Big salad with goat cheese, beets, and pepitas, and some leftover white bean soup. 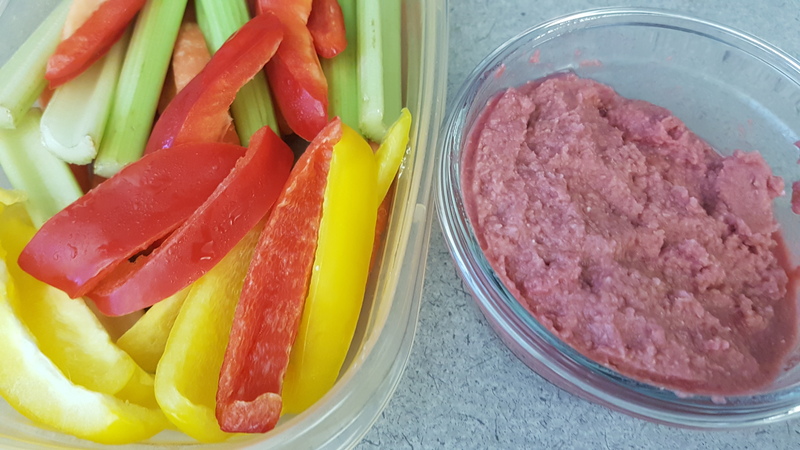 I love canned beets, they are so easy (no roasting or peeling required) and are awesome on salads. 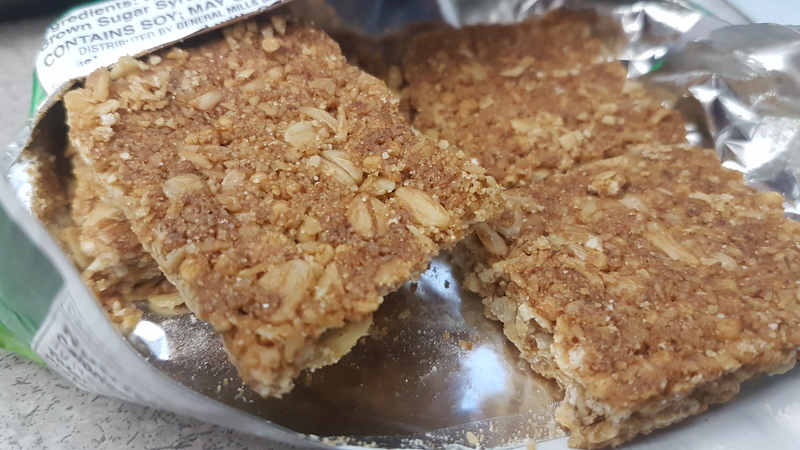 Snack – Nature Valley bar. 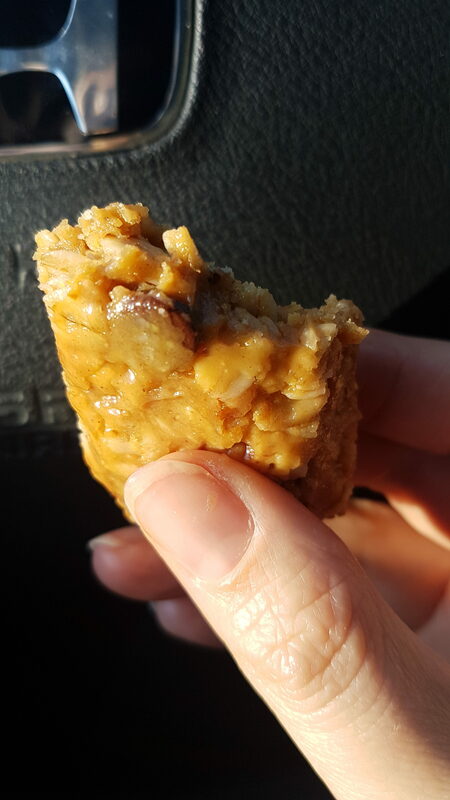 I meant to throw one of my granola bars in my lunch bag but I forgot… luckily I had one of these hidden in my desk so I didn’t have to gnaw my arm off before driving home. 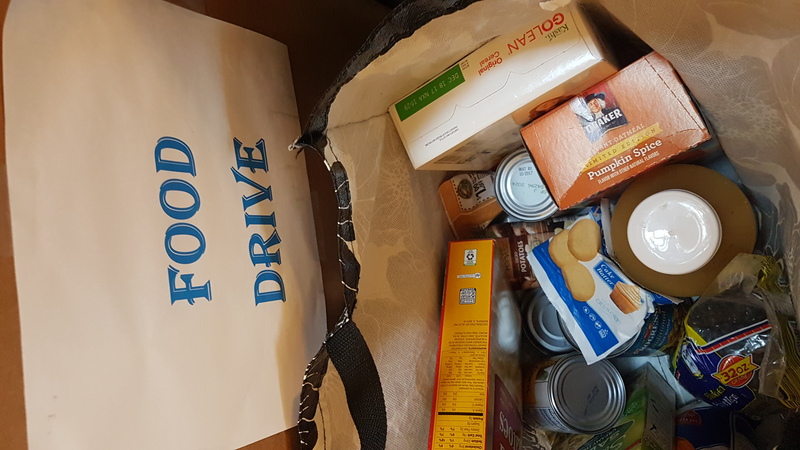 I also found out that there is a food drive happening at work! This is great news, because it makes it super convenient to donate the food I’ve been buying at each grocery trip. 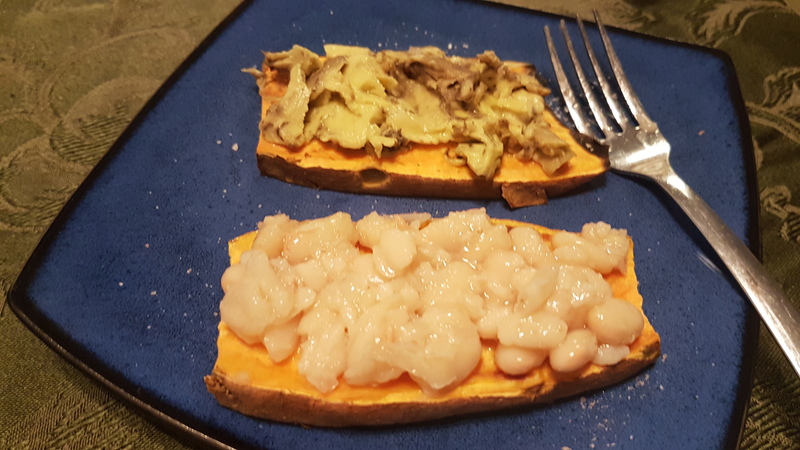 Dinner – Was not feeling black eyed peas (nor had I soaked them overnight) so we had leftover buffet, which translated into tacos for the boy and leftover lentils and sweet potato with rice for me. This is why I consider the meal plan more of a guide than a written in stone requirement every week. 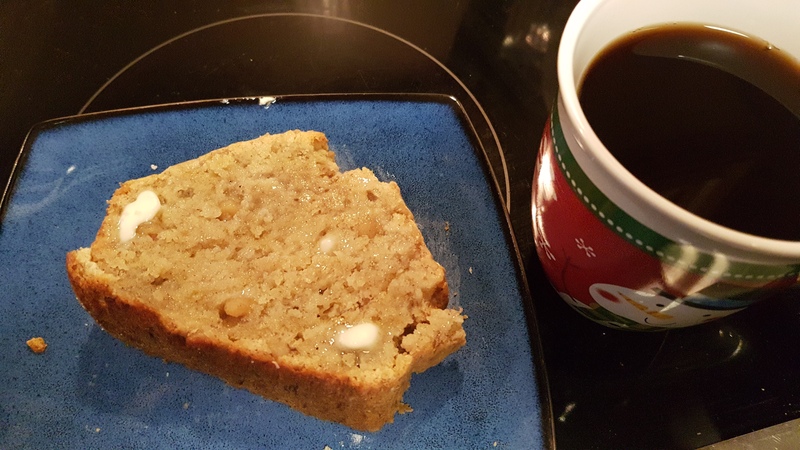 I had a bunch of bananas that were turning waaaaaaaay brown, so of course that is just begging for banana bread! 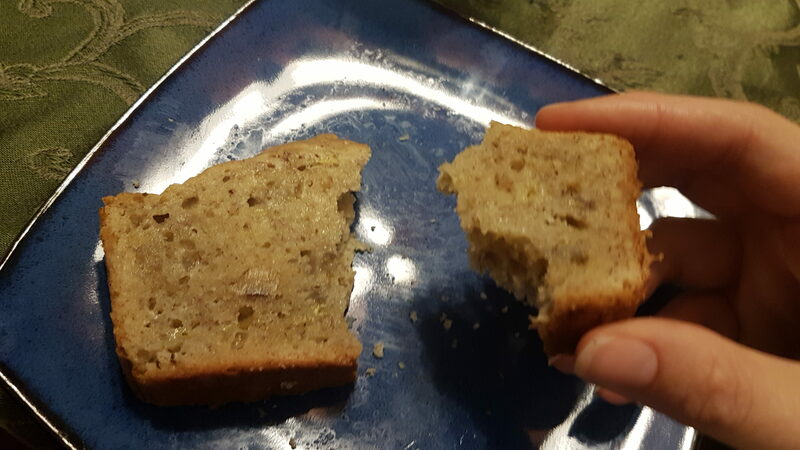 I whipped up a banana walnut loaf, and holy cow, fresh and hot out the oven with some butter, mmmmmmmm mmmmmm! I must say, this might be my best one ever. 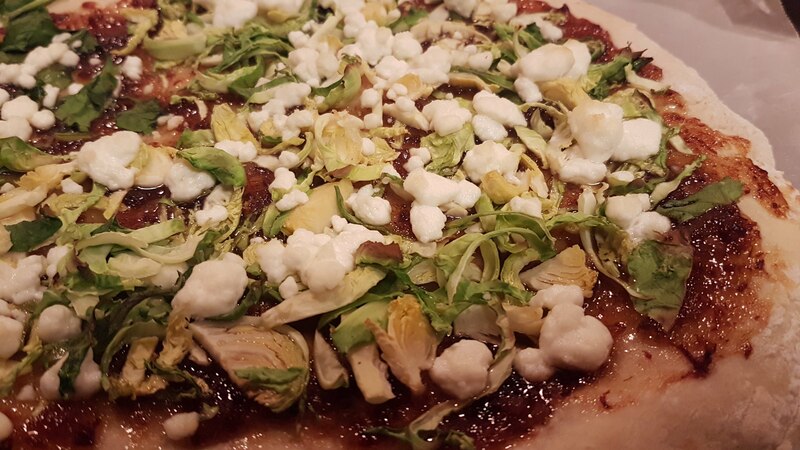 Lunch – Last of the Brussels Bacon Goat Cheese Pizza. 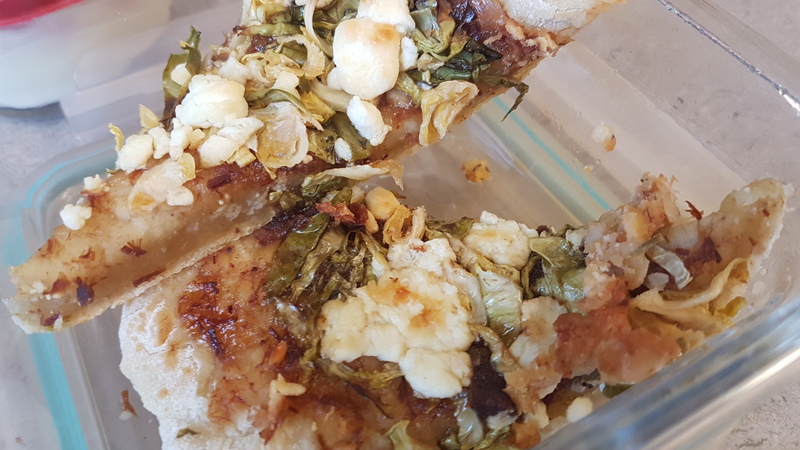 For the boy, to whom one large pizza is basically one meal, at best two, this is utterly confusing and disturbing that I can turn my one pizza into 4 different meals. 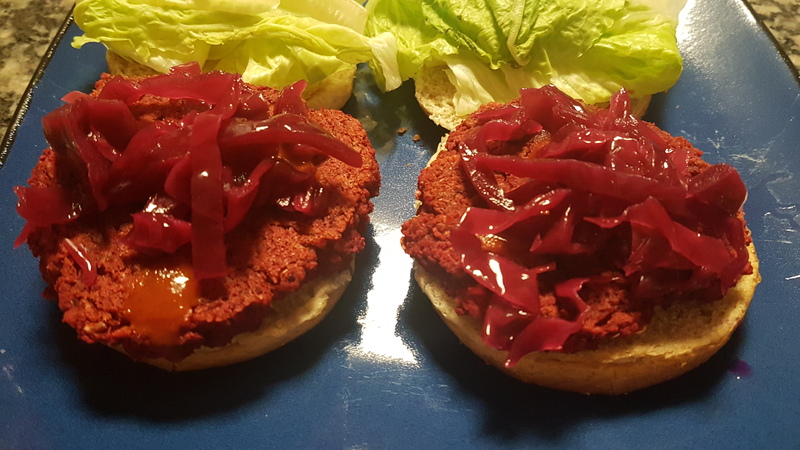 Also it was not quite enough to satisfy me, so good thing I planned for that and brought a few of the leftover koftes! 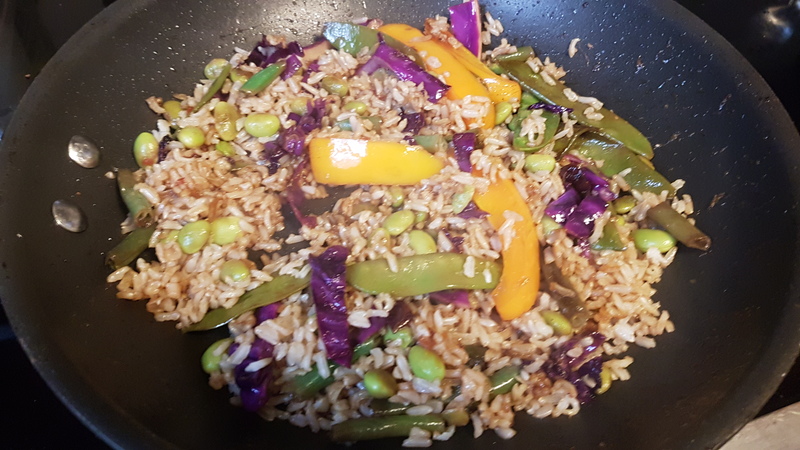 Dinner – It was Stir Friday of course! 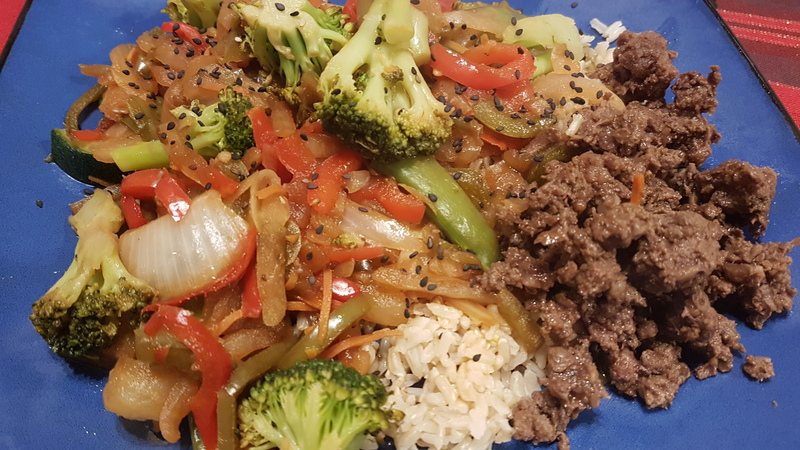 I made my sweet & spicy Asian beef with a giant batch of stir fried veggies and brown rice. We are hosting the first dinner party we’ve had in months, and I’m so excited! 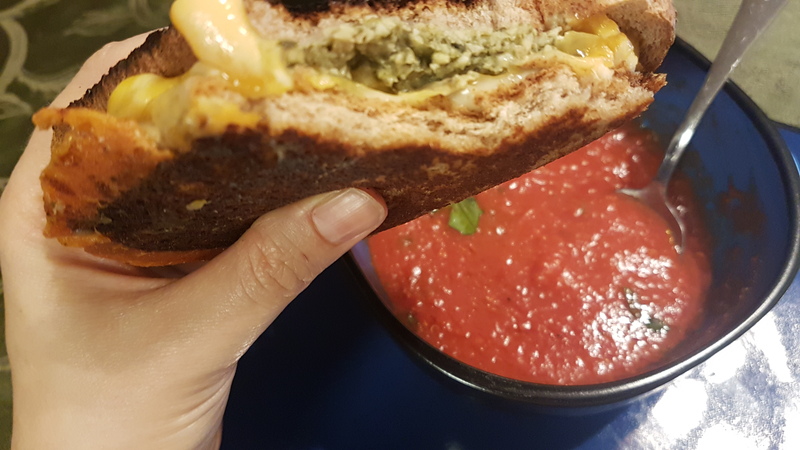 I absolutely loooooooooove having people over and feeding them, and winter has dragged on for all of time. 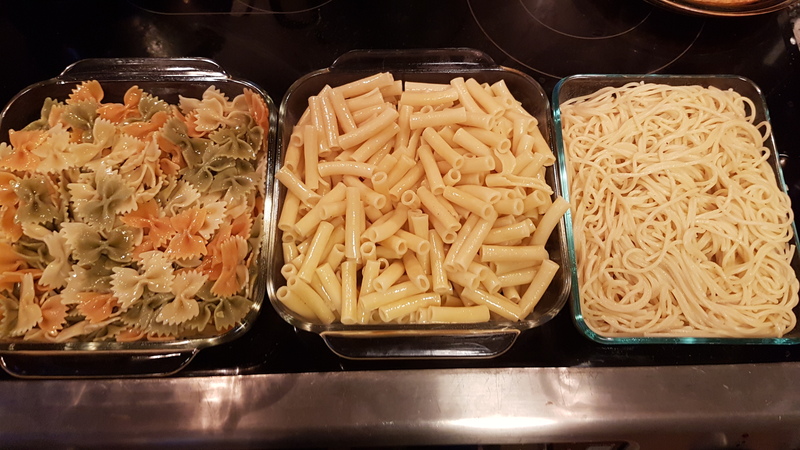 It’s on 3/3 so I’m planning a meal of 3s, 3 appetizer dips, 3 different pastas, 3 sauces, etc. I don’t think anyone will have met each other prior to this besides myself, so it should be interesting! I love bringing together people of all different personalities, and hope this sparks some great conversation and deeper friendships. 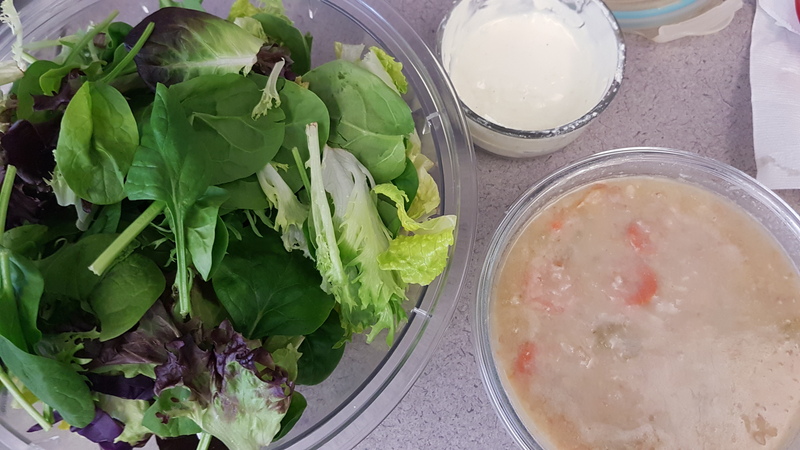 I totally killed it this week with meal planning. 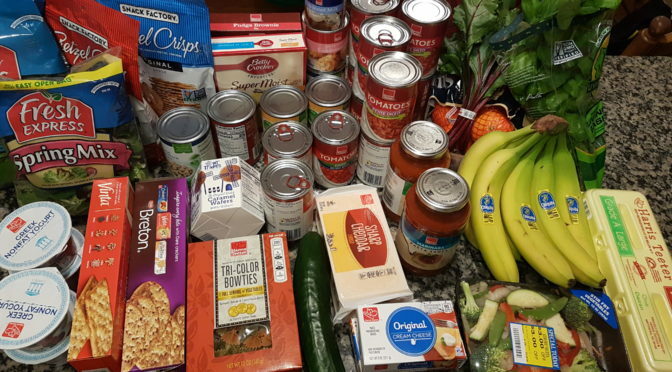 Mostly because I made a meal plan relying heavily on dried legumes and pantry items, and stuck to my list. This might be the first time I only had 2 impulse purchases (the hemp seeds and fabric softener). Practice what you preach, babe! 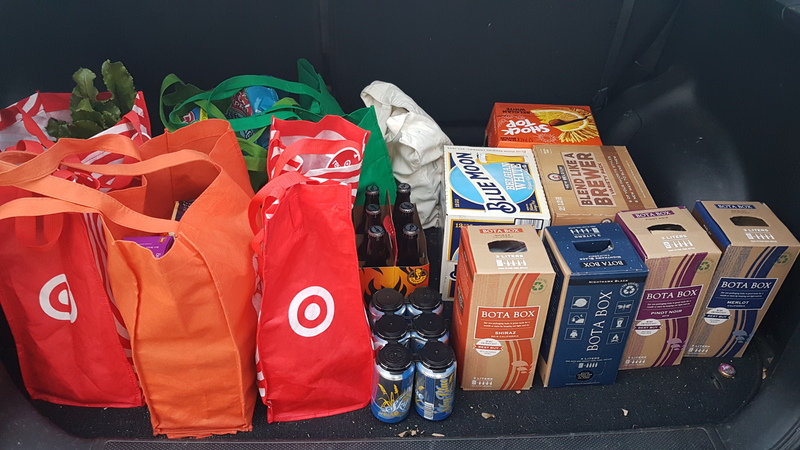 I go on and on about how meal planning and lists save you money on groceries, but even I, with years of practice on my iron will, capitulate to the siren song of BOGO deals, markdowns, and impulse buys. 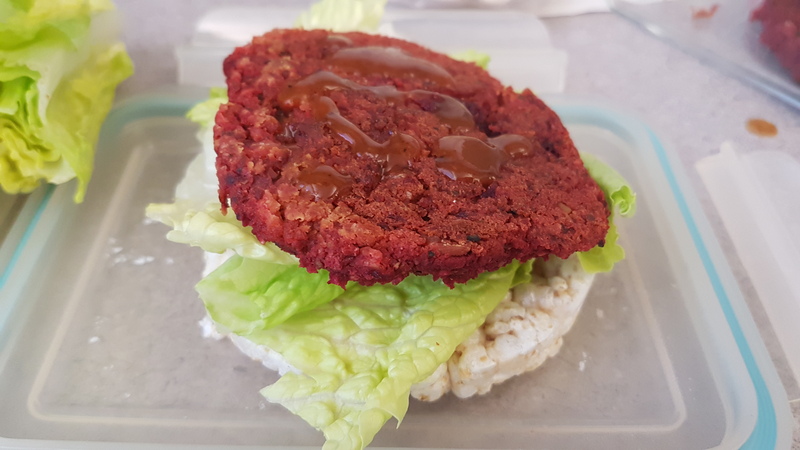 But the closer to plant-based we eat, and the closer I follow my plan and list, the more we save! One of my favorite parts about living in New England is the abundance of seafood. I wrote Tuesday about seafood linguini, and today is all about clam pizza (don’t worry, I actually made and ate them on separate weeks. Unless seafood every day is appealing to you, in which case rock on). 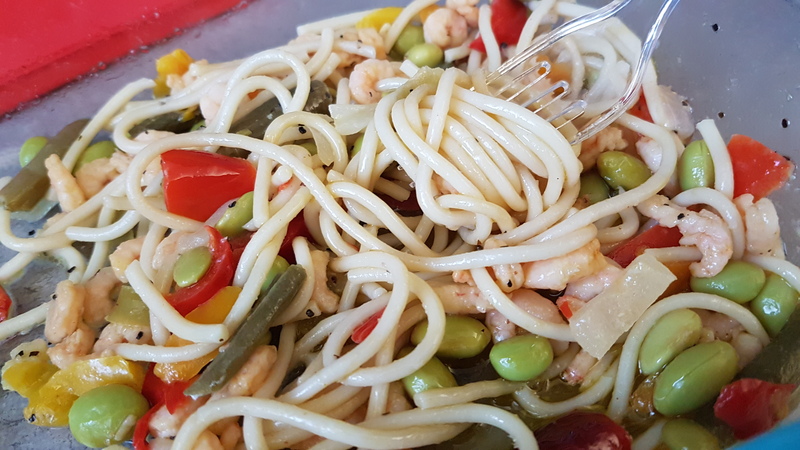 Seafood is pretty darn healthy for you on the whole, be it lobster, clams, shrimp, crab, or any other shelled ocean dweller. 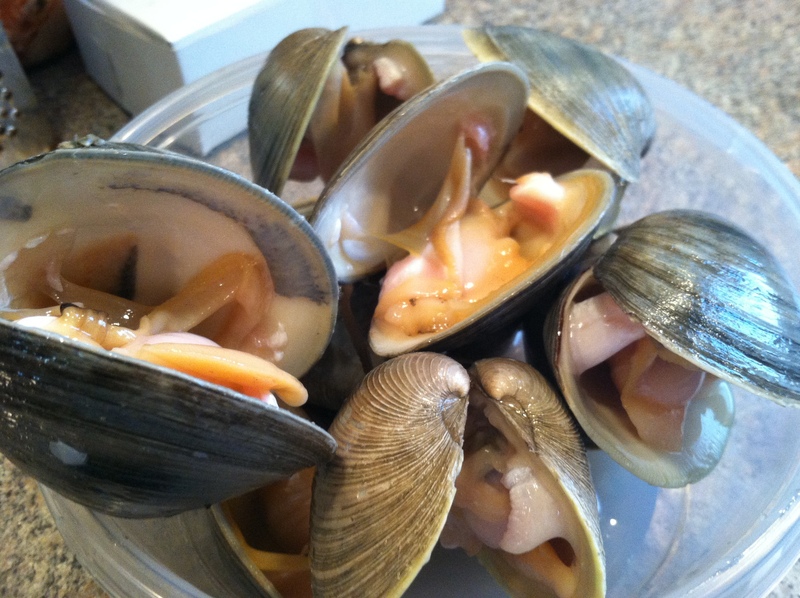 Clams are a good source of several nutrients and minerals, including magnesium and manganese, phosphorus, potassium, copper and selenium, and a very good source of Vitamin B12. Read More Here. They are also naturally low in fat and high in protein. 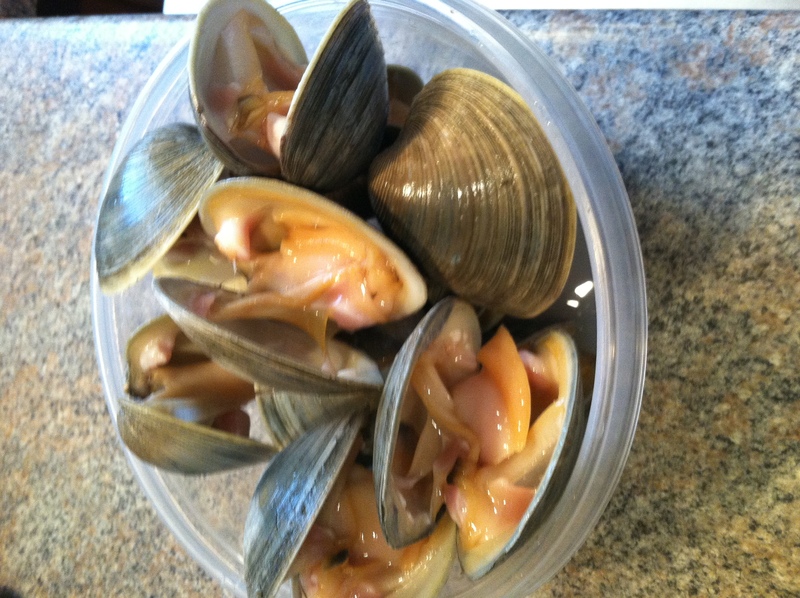 These clams were from a local farmers market (if you’re local to New Haven, check out the City Seed network of markets). I met the woman who captains the boat that harvested these guys, from the river and bay less than an hour from my house. She showed me photos of the boat, the other deck hands, and a typical day’s haul. She also explained the difference between several different types of clams, mostly size and thus what types of recipes they are best for. Of course I don’t remember most of it, but the point is it was super cool to meet the actual person who obtained the food I was planning to eat. 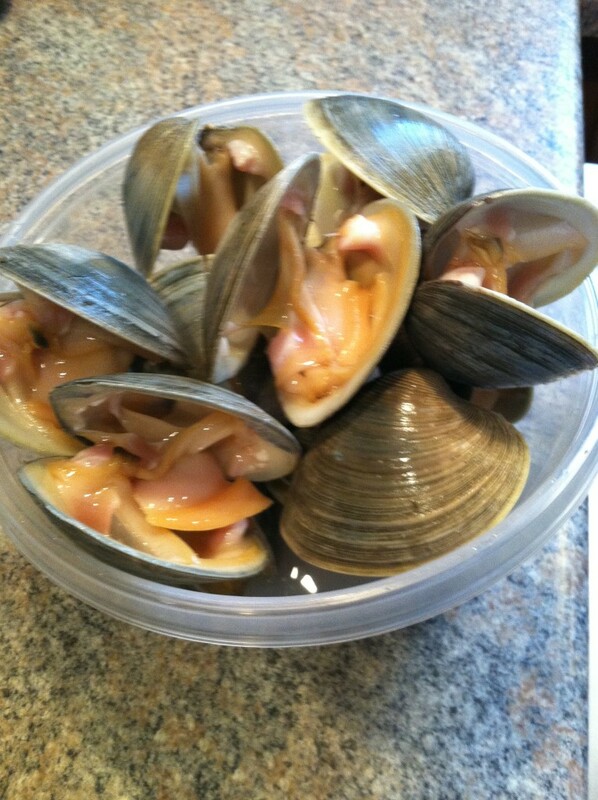 I got this baker’s dozen of clams for only $5 too. Once I saw the clams, I knew I had to have them. 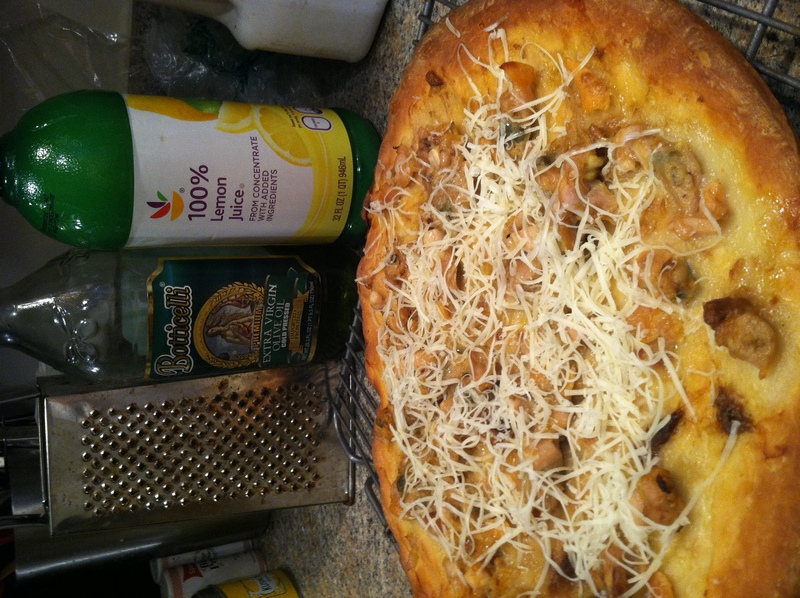 And once I had them, I knew that clam pizza was gonna happen. If you’ve ever been to New Haven, or even if you haven’t, chances are you’ve heard about Pepe’s Pizzeria, and their famous White Clam pie. It was named the best in the country! I am not arrogant enough to claim that I can make it just like Pepe or better, but I wanted to at least give it a shot. This woman also gave me some good advice on how to open and cook them, since this was my first time cooking with fresh clams. A nice trick is to freeze them for an hour or so, then thaw them in a pan over medium low heat. This makes them pop open really easily. Or you can thaw them on the counter, just make sure to use a container to catch all the flavorful juice they release! That’s good stuff. The next step of this pizza was making the dough. I could have bought it pre-made at the store, but I wanted to be all Suzy Homemaker and do it all from scratch. 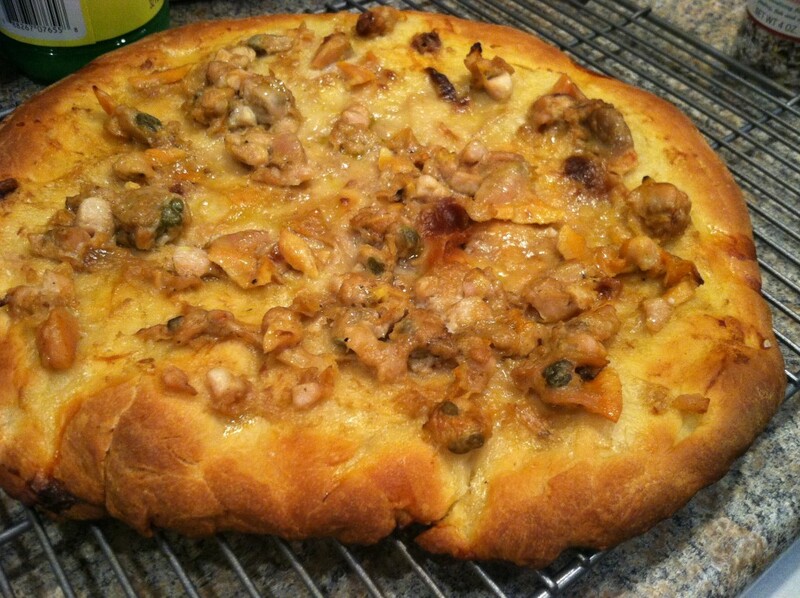 Turns out, pizza dough isn’t even that hard to make! And you can make a double batch, and keep half in the refrigerator or freezer to use again later. This may become a regular weekend project now. 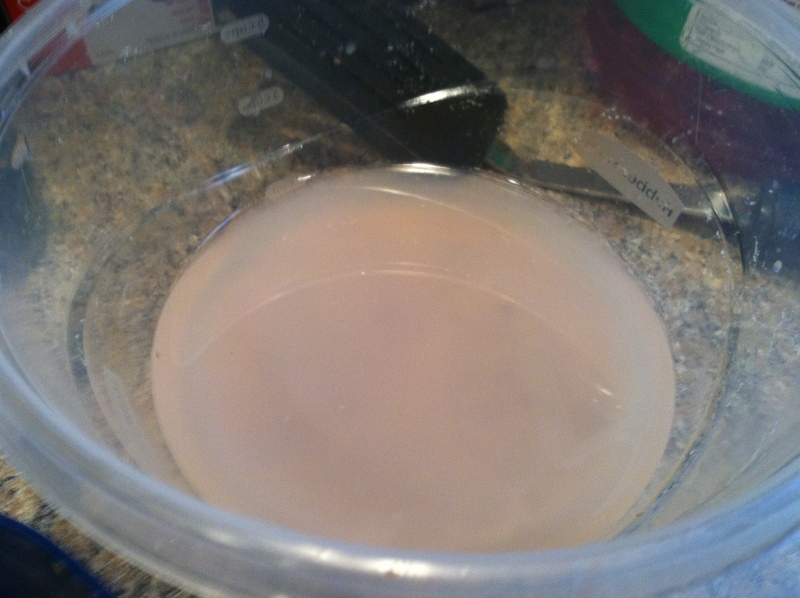 Step 1: Put the yeast, water, and sugar in a bowl and mix to dissolve. The water needs to be just warm, not too hot to kill the yeast. This is called “activating” the yeast. It wakes up and starts eating the sugar. Let it sit for 10-15 minutes at room temperature. Step 2: In a large bowl, or stand mixer, mix the yeast with the flour, rest of the water, oil, and salt. Mix until the dough is sticky yet pulls away from the sides of the bowl. Let it sit at room temperature 1 hour, so go do laundry or watch a TV show or run errands. Step 3: Punch the risen dough down, mix for a few minutes. Let it rest again for 1 hour. (This is kind of an all-day project, but with very little hands-on time. 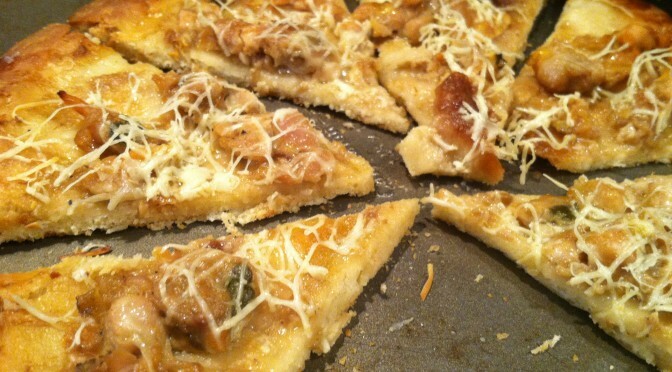 Plenty of breaks to get stuff done, and you don’t have to babysit the dough in between.) Either cut the dough in half for two smaller pizzas, or spread it out on a pizza pan (for round) or cookie sheet (for rectangle). 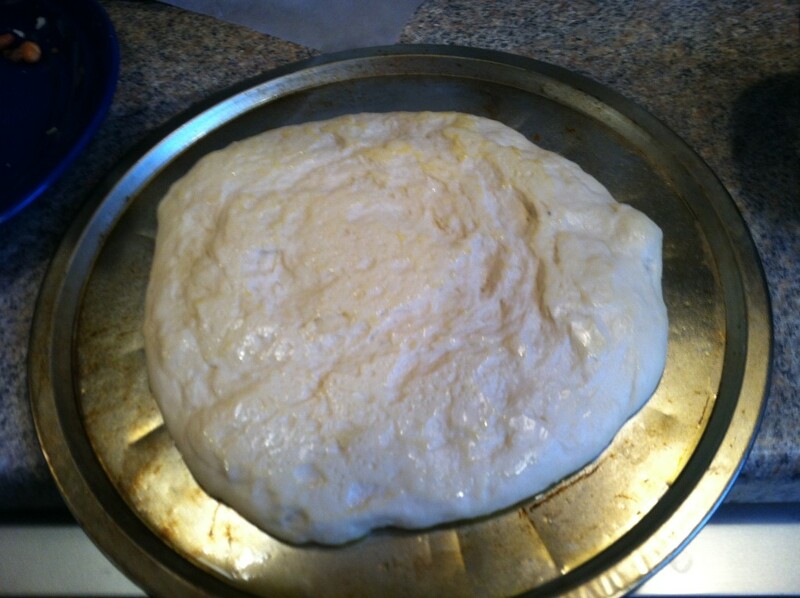 Heat the oven to 400 F.
Step 4: Spread your dough, and poke a few holes in it with a fork to prevent big bubbles. 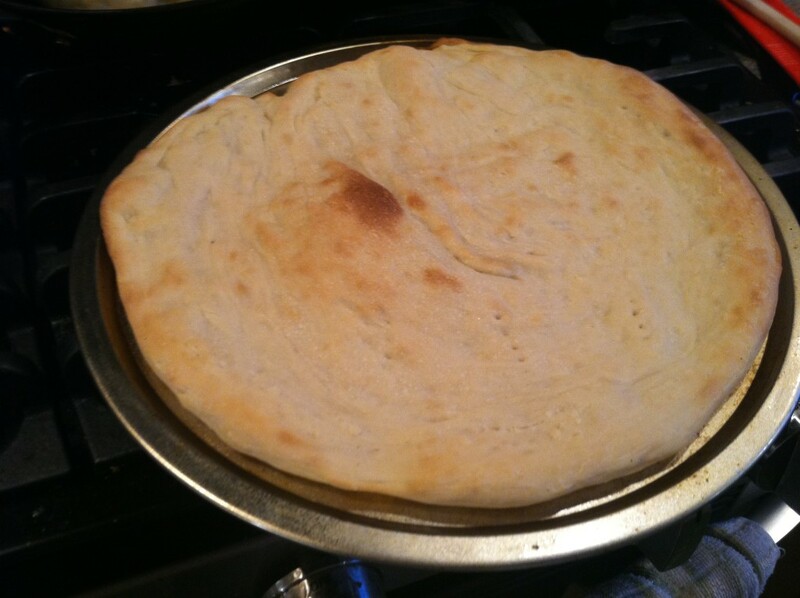 Bake the dough for 5-7 minutes, until lightly browned. 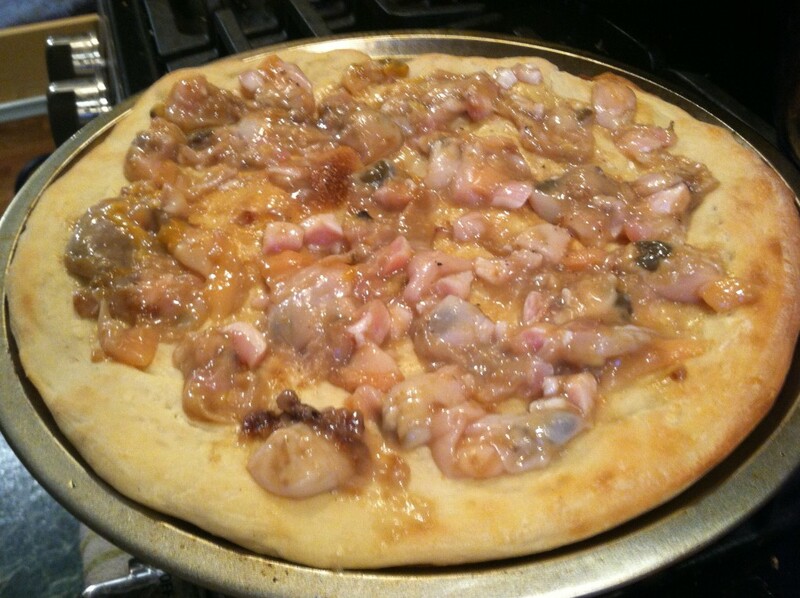 Then top with whatever you like, and bake another 5-7 minutes, until toppings are warm, browned, and/or gooey. 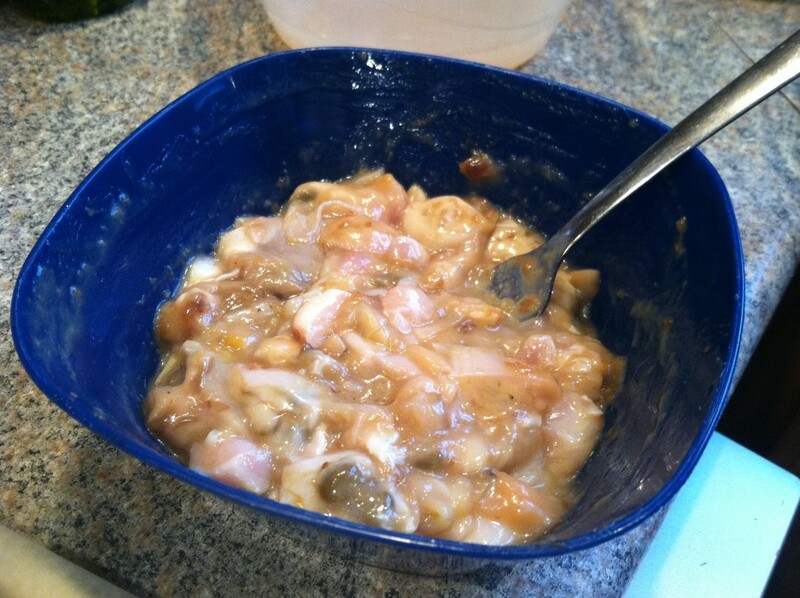 For my topping, I mixed clams, garlic, and olive oil for a pungent dose of flavor. While the oven was heating, I took an entire head of garlic and cut off the tops. I drizzled a tbsp or 2 of olive oil over it, wrapped it in tin foil, and baked it at 400 for about 15 minutes. This cooks the cloves, turning them soft and brown and mellowing the garlic flavor. Mix this with oil and chopped up clam, and you have heaven in the making. Step 1: Cut the top off the garlic, drizzle with oil, & wrap in tin foil. Bake at 400 for 10-15 minutes. Squeeze the cooked garlic into a bowl, and mash with a fork. Add clams, clam juice, oil, lemon, salt, and seasoning and mix well. 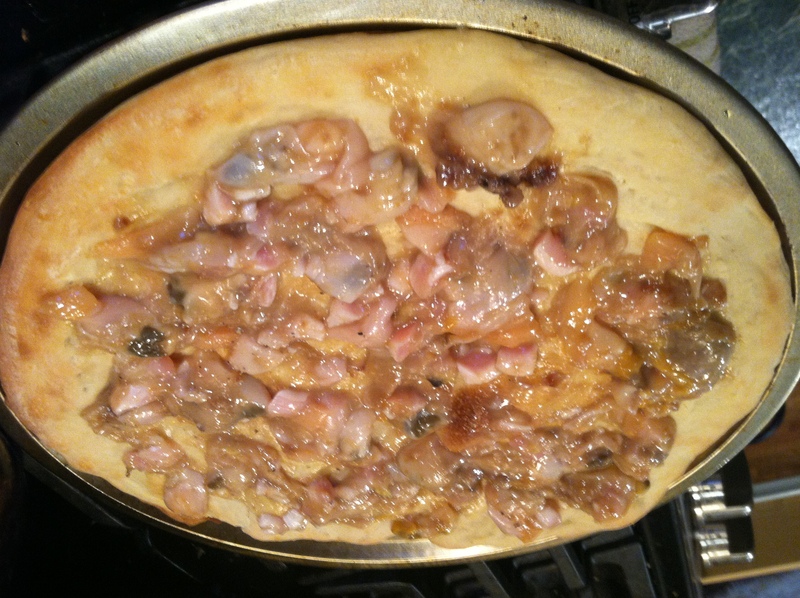 Step 2: Take your dough, and spread the toppings all over it. Sprinkle again with salt or seasonings, or a squirt of lemon if desired. 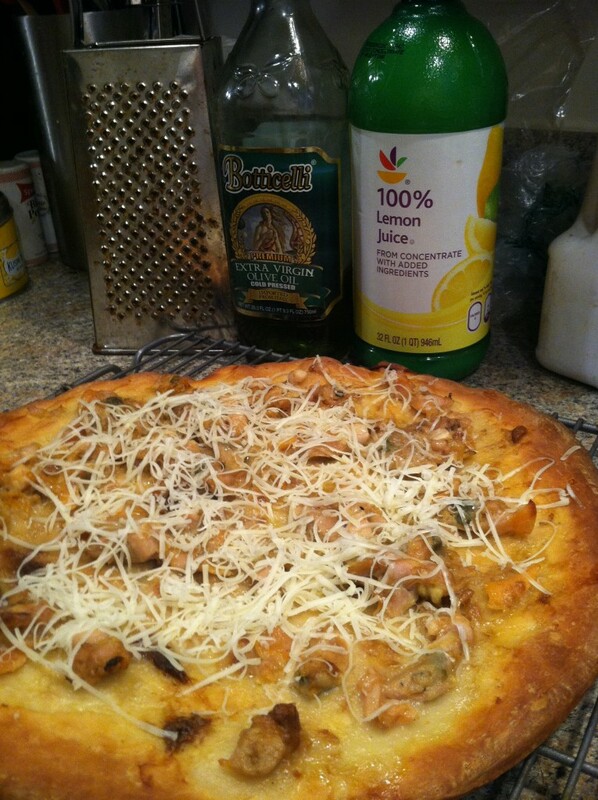 Step 3: Optionally, sprinkle on a handful of shredded parmesan or mozzarella cheese. 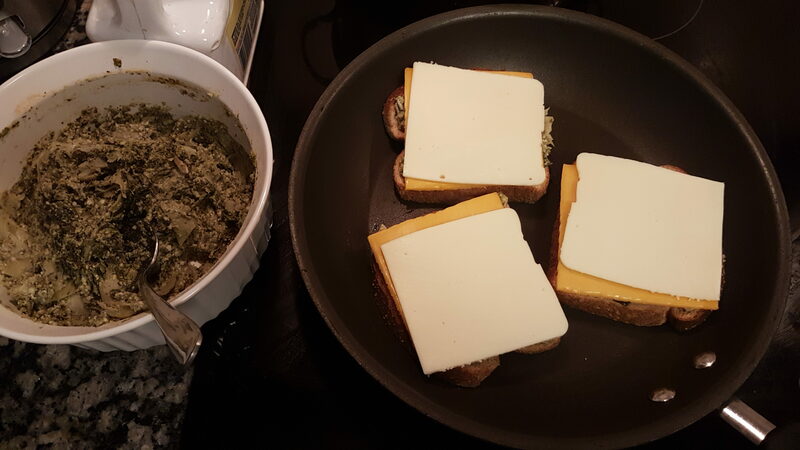 Bake in a 400 oven for 7-10 minutes, until heated through and cheese is melted. You can serve with extra lemon wedges for sprinkling over the slices. This is garlic and seafood heaven! 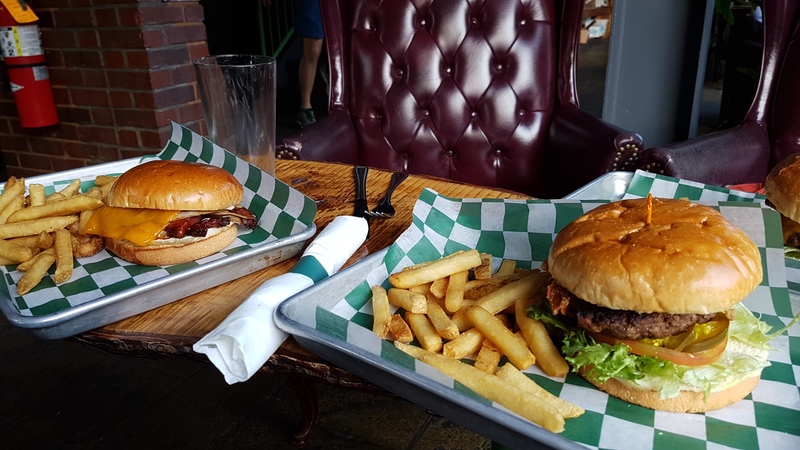 It smells amazing, and tastes even better. 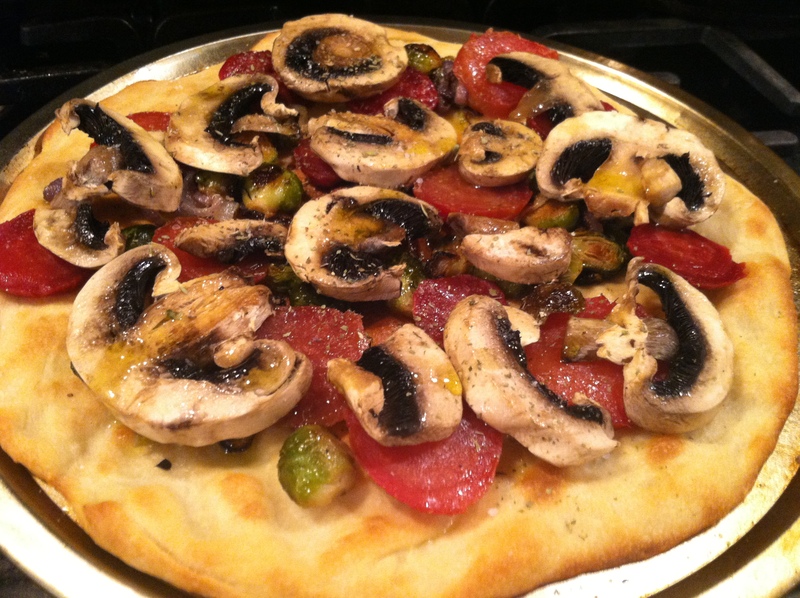 Oh, and I had only used half the dough on the clam pizza, so I took what vegetables were hanging out in the refrigerator and also made an awesome Brussels sprouts, beet, mushroom, and onion pizza! 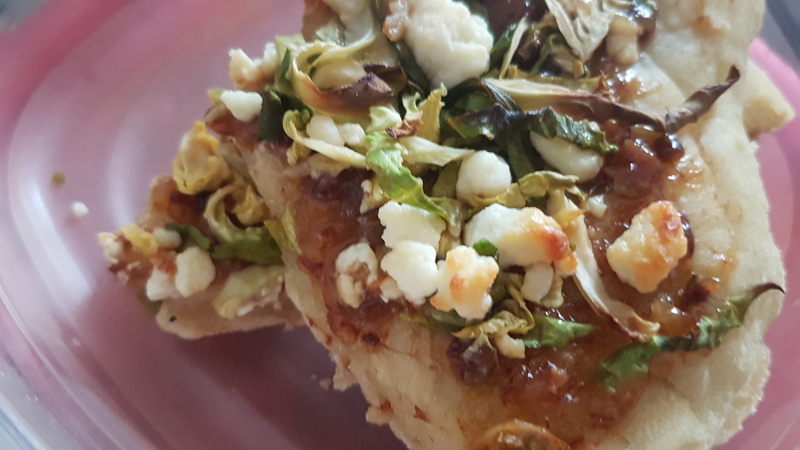 Pizza dough you make yourself is delicious, and far more healthy than a packaged box full of leaveners, preservatives, flavorants, and who knows what other chemicals. 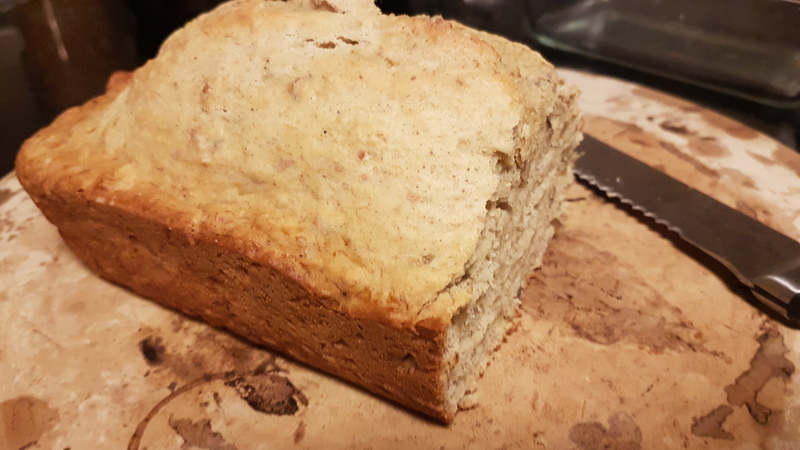 When you make things at home, you know exactly what goes into them, save yourself some cashola (because it is almost always cheaper to make things from base ingredients than pay the convenience fee of someone else making it) and can add a little love too. 😉 That’s what my grandma always said, and I think she’s right. How about you? 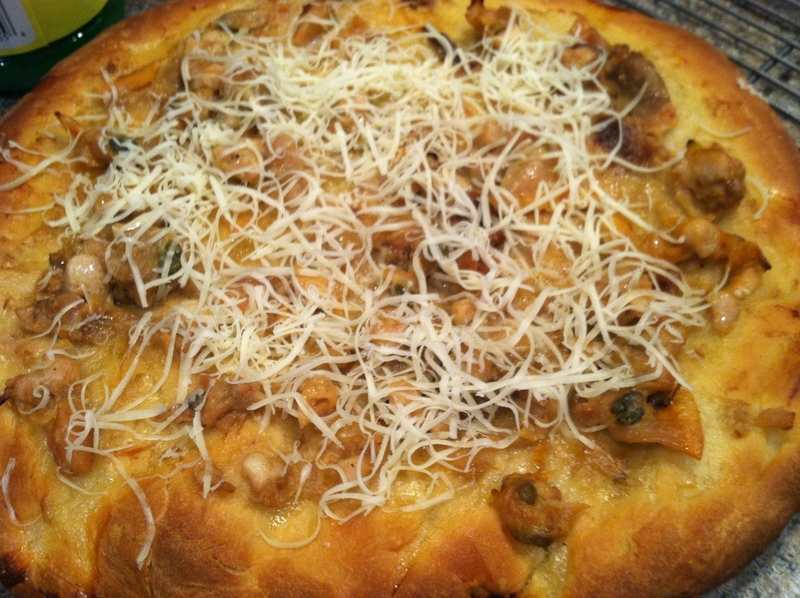 Ever made pizza dough at home? What’s your favorite pizza topping?